Fill in the words “pig, frog, sheep, to bark” to make a poem. Who was fit and slim as Twiggy? That spoke English in its sleep? 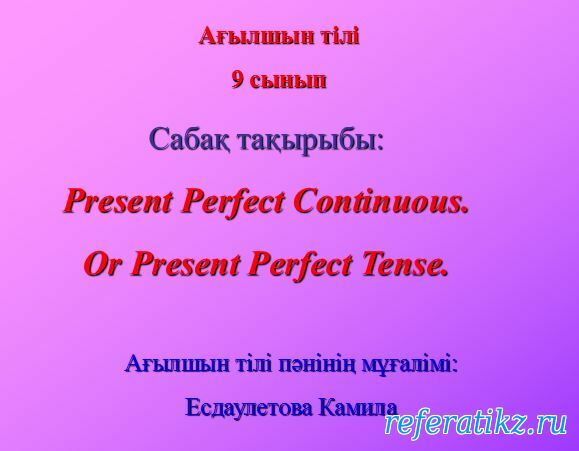 to revise and practice grammar material Present Perfect Tense, to notice how word order changes in affirmative, negative and question forms, to enlarge students’ vocabulary, to motivate self-study and group work. We (not be) to Moscow. Егер біздің сауаттылығымыз жоғары болса, біз бәсекеге қабілетті дамыған ел боламыз.